Our work is made possible through the generous funding of the National Science Foundation, the National Institutes for Health, Microsoft, Google, Bosch, CrowdFlower, and Apple. The human mind remains an unparalleled engine of innovation and discovery, but individuals are fundamentally limited in the speed and amount of information they can process. My lab's research focuses on augmenting human cognition using crowds and computation. We study and build social computing systems that combine the flexibility of many human minds working together with the raw power of computational systems to accelerate learning, innovation, knowledge production, and scientific discovery. 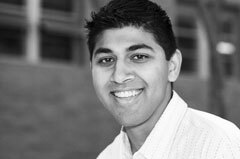 Aniket Kittur is Professor and Cooper-Siegel Chair in the Human-Computer Interaction Institute at Carnegie Mellon University. 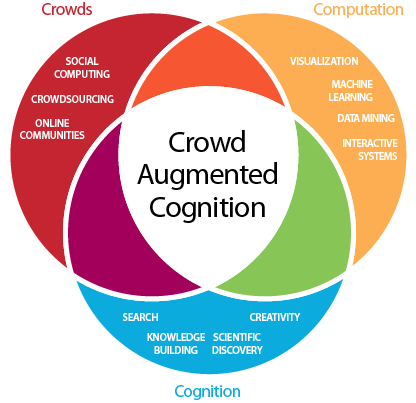 His research on crowd-augmented cognition looks at how we can augment the human intellect using crowds and computation. He has authored and co-authored more than 70 peer-reviewed papers, 14 of which have received best paper awards or honorable mentions. Dr. Kittur is a Kavli fellow, has received an NSF CAREER award, the Allen Newell Award for Research Excellence, major research grants from NSF, NIH, Google, and Microsoft, and his work has been reported in venues including Nature News, The Economist, The Wall Street Journal, NPR, Slashdot, and the Chronicle of Higher Education. He received a BA in Psychology and Computer Science at Princeton, and a PhD in Cognitive Psychology from UCLA.